The multi-talented star was joined on stage by long-time friend and collaborator DJ Jazzy Jeff as the pair belted out their new tune Get Lit and some of their biggest hits at the Livewire Festival in Blackpool, England. Following the gig, Will, 48, spoke to Entertainment Tonight about the experience and told the outlet his passion for his other art had been reignited by the concert. "Now I got the bug," he laughed. "I was on fire last night. It was the first time being on stage in a while. I blew my voice out a little - I do that all the time. I just can't contain myself on stage. "I blew my voice out hard. I hurt my knee on Summertime. All the way through the second verse, I was trying to do the leaning to the side (move). You can't speed, though. I leaned a little too far and my meniscus was bothering me." 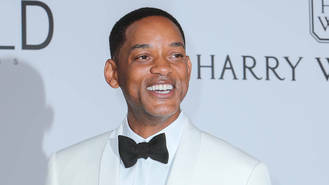 While Will has harked back to the past with Jazzy Jeff, he has no plans to revisit his TV show The Fresh Prince of Bel-Air. The programme was a massive hit when it ran between 1990 and 1996, and forged Will's career - paving the way for him to become one of the world's biggest movie stars. However, despite the recent trend for former television shows being revived, Fresh Prince won't be one of them. "Stuff had to go really wrong for there to be a Fresh Prince reunion special," he said. "Like, I don't know what would have to happen! Nah man, you can't touch stuff like that. It's so nostalgic for people - I'm not going nowhere near that."